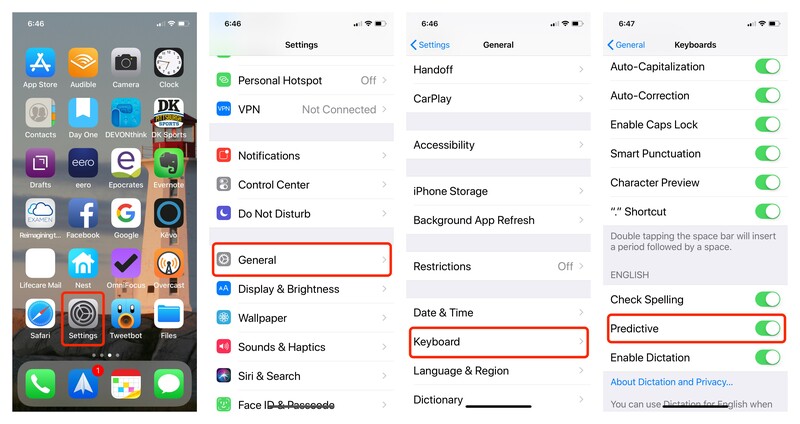 The iOS keyboard’s autocorrect feature is intended to be a timesaver, checking spelling and automatically fixing mistakes as you enter text. Sometimes we send messages without realizing how embarrassing they are. We’ve all had our “Damn You Autocorrect” moment. 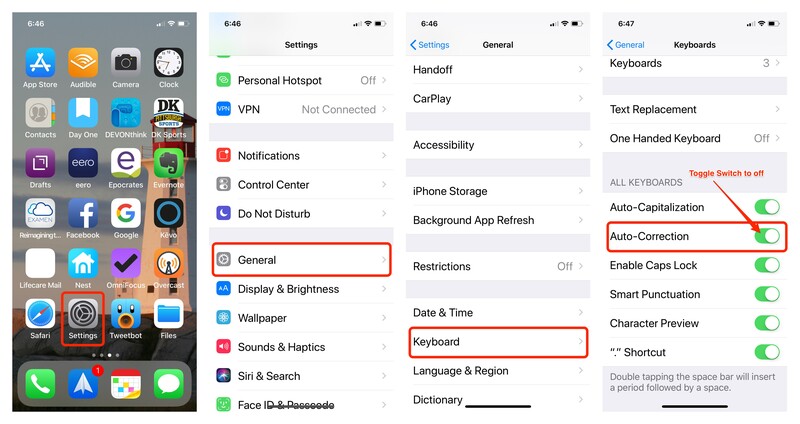 Here’s the good news: You actually have a lot of power over the autocorrect feature in iOS. If autocorrect is driving you crazy, you can actually disable it. No more bad guesses. No more awkward communications. Continue to type what you mean and if something is misspelled, so be it! Turning it off is simple. You can follow the same steps to turn it back on. Autocorrect is baked into Apple’s operating system. Just get on with typing, and let Apple deal with those moments when your fingers tap the wrong keys. Text replacement is based on triggers and phrases defined by you. For example typing the phrase “addr” can expand to your home address. We’ll be checking that out too. Autocorrect defaults to correcting spelling. You can fine tune these options. With Predictive turned on, iOS will attempt to predict your next word, placing the options in a bar just above the keyboard. 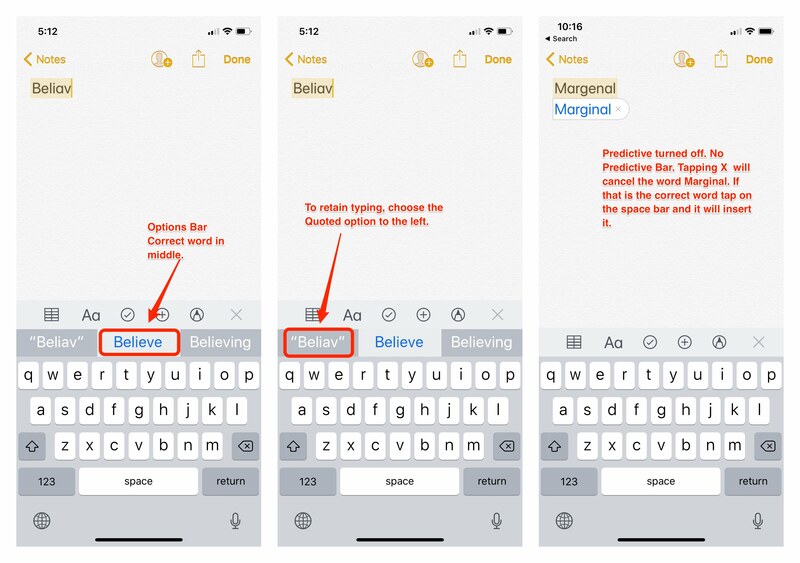 The Predictive word will be highlighted and the central word in the prediction bar. If you keep typing that word will be chosen. To retain your spelling, you’ll need to tap the quoted option to the left. 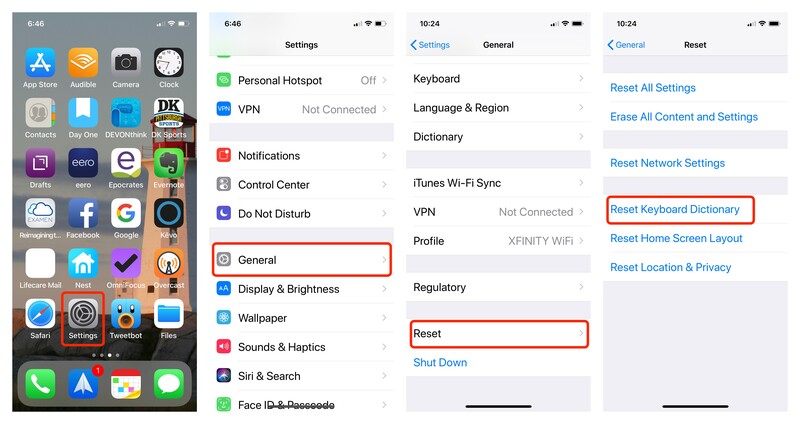 If Predictive is turned off, there is no predictive bar and autocorrect suggestions appear next to the word, with a tappable “x” to close the box if you want to cancel them. You can also “train” autocorrect by overruling it several times. But reverting words isn’t so easy. You’ll have to go for the Brute for approach and delete your entire custom dictionary. Needless to say, this totally wipes out any customizations up to this point. 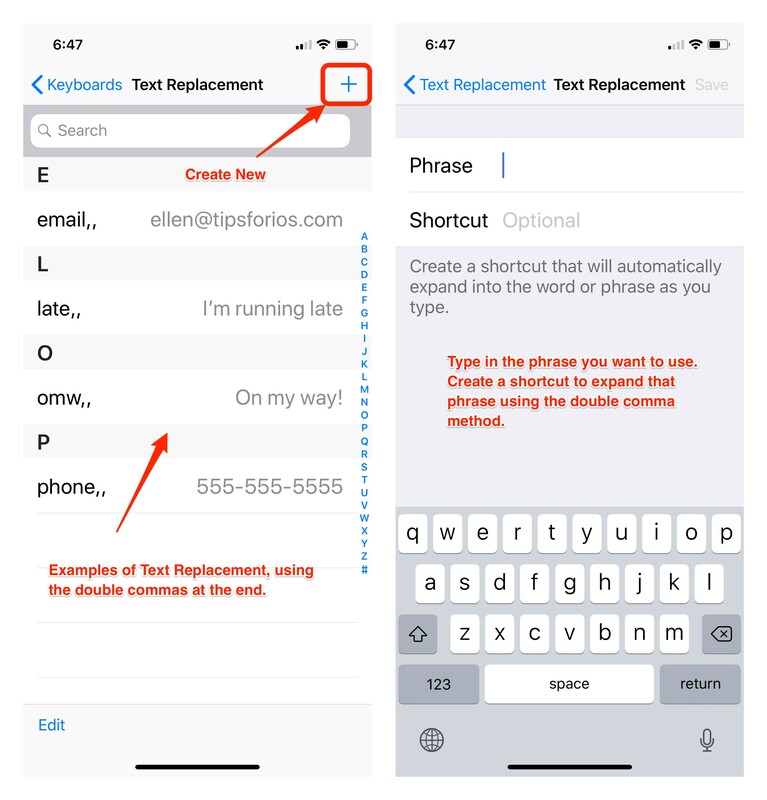 You can also define custom text replacements. 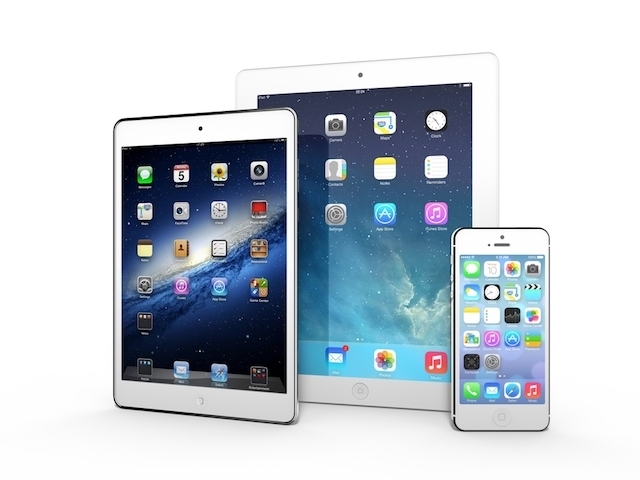 If you’re using iCloud, these will sync across all your devices. Apple gets you started with “omw” which expands to “on my way”. Now it’s up to your to create your own text replacement. The first thing you need to do is define your system. My recommendation is to use short descriptive phrases that end in two commas. For example addr,, could expand to your full address. It’s unlikely that you’ll type two commas in a row anywhere else. So it makes the system easy to use. Below you’ll see a few examples of phrases and how to create and use them. If you have any questions drop them in the comment section. Let me know how you’re using autocorrection and text replacement.